Most American kids don’t spend large chunks of their day catching salamanders and poking sticks into piles of fox poop. In a nation moving toward greater standardization of its public-education system, programs centered around getting kids outside to explore aren’t normal. But that’s precisely what students do at the Nature Preschool at Irvine Nature Center in Owings Mills, Maryland. There, every day, dozens of children ages 3 to 5 come to have adventures on Irvine’s more than 200 acres of woodlands, wetlands, and meadows. These muddy explorers stand out at a moment when many American pre-K programs have become more and more similar to K–12 education: row after row of tiny kids, sitting at desks, drilling letter identification and counting. Mention how anomalous this seems, though, and the teachers at the Nature Preschool can only express their wish that that weren’t the case: Why is it odd for 4-year-olds to spend the bulk of their time outside? When did America decide that preschool should be boring routines performed within classroom walls? Today’s kids are growing up at a moment when American childhood—like much of American life—is increasingly indoors and technologically enhanced. Families spend more time indoors and on screens. Smartphones have warped the teenage experience. Perhaps as part of reaction to those trends, the United States is witnessing a budding movement to reintegrate childhood with the natural world. Nature preschools, outdoor pre-K, forest kindergartens—call them what you like: Early-education programs like these are starting in communities all over the country. 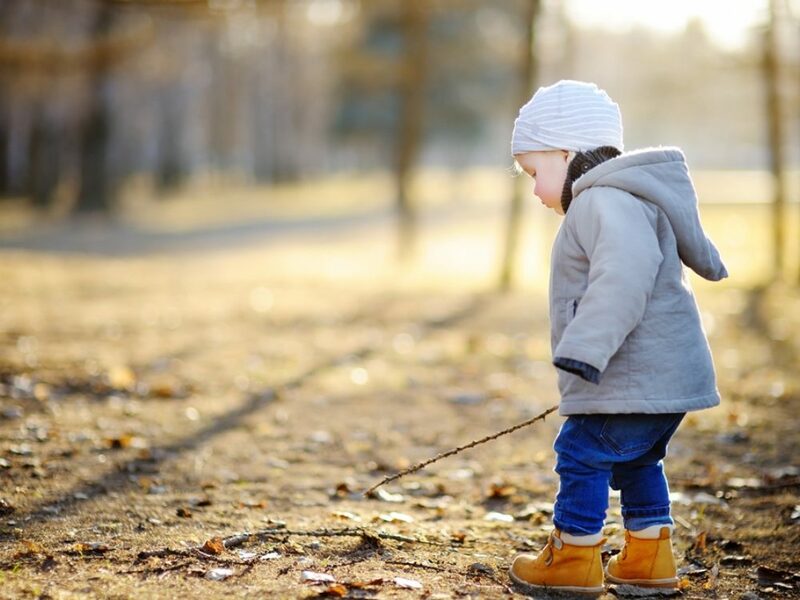 The Natural Start Alliance, a group advocating for more outdoor experiences in early education, says that the number of “nature-based preschools” has grown at least 500 percent since 2012. Louv and fellow advocates present outdoor early education as an answer to a gamut of child-rearing challenges. According to these advocates, a kid who suffers from anxiety doesn’t necessarily need medication, a child who can’t pay attention doesn’t need a computer program to reshape her development, and one who struggles to keep up physically doesn’t need a targeted summer-camp experience to build his muscles. Instead, what they need is more time outdoors. Give young kids the opportunities to engage in hours of free, unstructured play in the natural world, and they develop just as organically as any other creature. They learn creativity as they explore and engage with complex ecological systems—and imagine new worlds of their own. Freed from playground guardrails that constrain (even as they protect), kids build strength, develop self-confidence, and learn to manage risks as they trip, stumble, fall, hurt, and right themselves. Research shows that the freedom of unstructured time in open space helps kids learn to focus. It also just feels good: Nature reduces stress. The basic conviction that children grow best when adults grant them space, time, and agency is central to many progressive-education models. And yet, it’s not entirely clear whether or not these programs can deliver on these expectations. Sure, in a generic sense, time outdoors is obviously good for young kids. The hard part is to nail down how much time (and which activities) outside are particularly good for kids—which is to say, what should outdoor education actually look like in practice? Are there particular types of outdoor experiences that kids really need? It’s not clear that anyone knows. In a sense, outdoor education is right in line with a host of other educational trends. The basic conviction that children grow best when adults grant them space, time, and agency is central to many progressive-education models. Karen Madigan, director of the Nature Preschool at Irvine, says her program draws from a hodgepodge of student-directed pedagogies, including the Montessori, Waldorf, and Reggio Emilia approaches. If these differ in the details, they overlap in the certainty that schools should give kids leeway to explore what they find interesting. Huvos began her teaching career in an urban charter-school pre-K in Washington, D.C., focused primarily on building students’ academic skills. She thrived on building personal relationships with children, but was frustrated to see many flounder when they left her class. 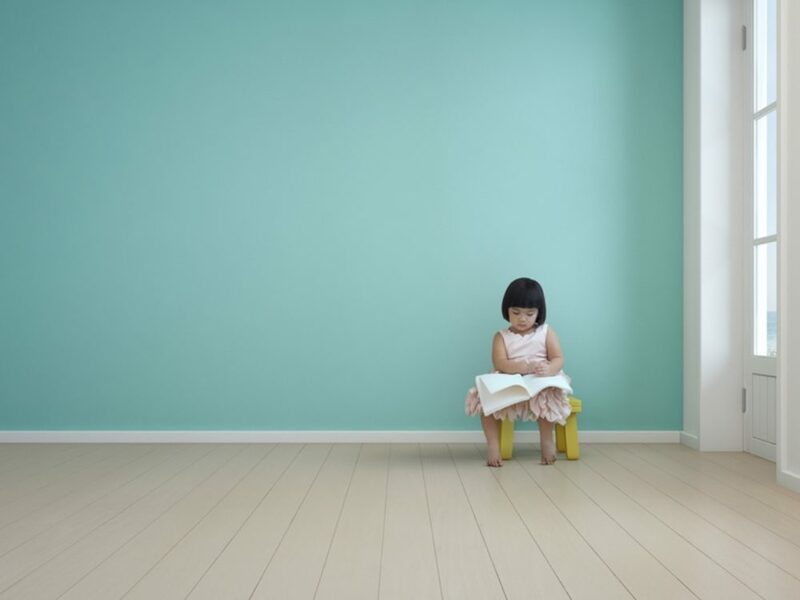 “They didn’t have, necessarily, the self-regulation [or] social-emotional skills they needed to thrive once the environment they were in shifted,” she says. So she founded Riverside in an effort to build an early-education program that prioritized those “noncognitive” skills—set on a West Virginia farm that had been passed down through generations in her family. During a morning visit to Riverside, I saw a red-tailed hawk, a (literal) handful of worms, and the farms’ two pregnant goats. Two boys giggled as they wrestled over a grimy plank of wood they were using as a “pillow” for pretend naps. Other kids were debating whether an insect was a centipede, an earwig, or some other sort of beetle. They were clearly having fun. But it was also clear why such programs are relegated to the category of “alternative” and accessible almost exclusively to parents who proactively seek them out. It would be hard to make outdoor preschool the rule, the government-sanctioned model, because its benefits are as abstract as its purpose is subjective. When it comes to public funding, it’s much easier to sell programs that promise academic rigor and a neat dovetail with kindergarten. “[Riverside] is like my laboratory,” Huvos says. Her small, private program serves mostly “somewhat more affluent families.” In West Virginia, where the average monthly cost of center-based child care runs around $560, Riverside’s monthly $400 price tag is relatively steep, since that price only gets kids four days of care per week, and just three and a half hours each day. By and large, Riverside only works for parents who can afford to stop work and be available to pick kids up at 12:30 p.m. (or who have a full-time nanny or relative who can step in). This bothers Huvos. “It’s become this unique, privileged thing: putting kids outside to play,” she says. Well-heeled parents realize, she says, that “this is what’s going to give your kid an academic advantage. This is what’s going to give your kid life success.” She hopes that if “affluent folks [are] demanding it,” more early education programs will emerge to provide more kids—of all backgrounds—more time outside. As this happens, getting the details right will be important. How can—how should—early-education programs balance the competing demands of academic development and outdoor play? Most kids could benefit from more time outside, but it’s hard to imagine that they don’t also need time with interesting, vocabulary-rich books. Figuring out that balance matters even more when schools are welcoming populations that are likely to struggle academically down the line. In the United States, achievement gaps between children from wealthy and low-income families appear well before kindergarten, and evidence suggests that children who start elementary school behind on critical skills tend to stay behind. If children arrive in pre-K with weak language development and academic skills, early educators may rightly feel pulled to focus on these. Sure, skilled educators can integrate math or reading instruction into time spent outdoors, but there are only so many hours in the day, and a recent study suggests that academically focused pre-K programs are particularly good at boosting children’s early math and reading abilities before—and into—kindergarten. It also found that “high-dose academic” preschools were uniquely effective at raising African American children’s math and reading skills. Is it possible to capture the benefits of unstructured time in nature within the structures of public early education? Mundo Verde, a Pre-K–5th-grade charter school in Washington, D.C., is trying. Its model is defined by three components: student-driven learning, a focus on sustainability, and a Spanish-English dual-immersion program. The school gets kids outdoors by organizing learning into “expeditions”—students dive deeply into a topic, often culminating in an excursion that allows them to expand on what they’ve been doing in class. For example, when Mundo Verde second-graders study rocks, they visit the nearby Luray Caverns and collect fossils at Calvert Cliffs. At the end of a unit on balls, the school’s preschoolers design ball games to play with classmates in a nearby park. Compared to private programs like Irvine’s Nature Preschool and Riverside, Mundo Verde is expanding who can access outdoor early education. It’s publicly funded, attendance is free, and enrollment is conducted by open lottery. Nearly one-third of its students come from low-income families, and 68 percent are students of color. But those numbers are actually low for a public school in D.C., where over 80 percent of students’ families are low-income and 90 percent are nonwhite. Mundo Verde’s challenge—a challenge that many educators across the country are also navigating—largely comes down to conflicting beliefs about what a school should be in the 21st century. Beliefs about where learning should take place and what that learning should look like. But these are debates about something deeper, too: the fundamental question of what childhood should be. That’s not an easy question, and any proposal will have its flaws, but for the kids catching salamanders in the woods of Owings Mills, Maryland, the answer is obvious.